If you’re like me, you don like buying stuff that’s ready-to-go, but rather build one yourself. We usually spend more money, but it’s way more satisfying 🙂 I really didn’t want to buy an overly expensive 32ch FPV LCD receiver, so I made my own DIY 32ch FPV 5.8ghz LCD, that is compatible with EVERY transmitter on the market now. Although this LCD has 2 input channels, I only chose to use one. You can solder a wire on that second pad and leave it hanging out of course 🙂 I removed the three LCD buttons, so there is no way of switching between inputs. Take note that the LCD defaults to the active source on startup. 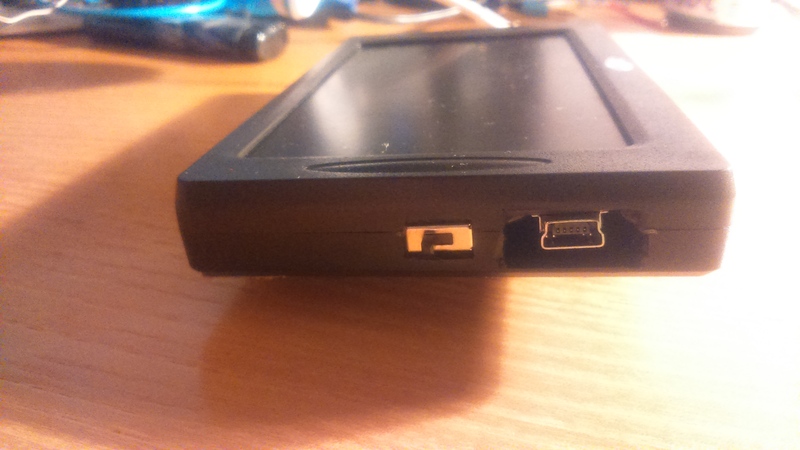 Basically, if you have the same LCD, the electronics should fit, so slap that back cover on, and test fit it. Probably make some holes on the side while you’re at it hehe. The receiver module gets hot after a couple minutes, so, just for the peace of mind, I installed a tiny 12v fan on the back, to be sure. Solder it directly to Booster output. If you have a 5v fan, you can solder it to Booster input (3.2v to 4.2v). I also made a couple of holes in the back, to see the status LEDs of charger and booster. The 500mah battery lasts about 25minutes, which is ok, my machines don’t fly that long anyway. The battery could probably be smaller, we don’t need the 25C discharge rate. I still have a couple of FPV boards, that I don’t need, leave a comment here, if you want one. I can also populate it. Hey, do you have any fpv tx laying around that you don’t need? well, yes and no 🙂 In this project, yes it needs a micro controller, But in general, no. Here, Arduino is used for SPI communication with rx5808, visual interface for scan, RSSI calibration, TV out. If I had two 5808s, I could also use arduino to do diversity. But if you dont need these features, you can put DIP switches to RX5808 Button_input 1,2,3, and bridge them to GND (metal shield is also GND) to change channels. Mind you, rx5808 is now really old, I believe that there is an updated version floating around with all channels already enabled.